Yan Yushan left home after graduating from middle school, carrying nothing but a few books and the dream of making it in the big city. The year was 1992, when China's urban centers began to get a facelift from the country's renewed efforts of reform and opening up. One of the most drastic transformations was in Guangdong province, where small towns and fishing villages would overnight become metropolises of highways and skyscrapers. And that was where Yan would flourish, and eventually bring his success back home to Xiaogang. Yan was born in 1973 to a farming family in Xiaogang, a small village in eastern China's Anhui province. The eldest of five siblings, Yan saw little prospect for his family in the way farming was done in the village, and decided to find out what was out there. Arriving in Dongguan, Yan was immediately impressed by the newly paved roads. He got work as a security guard at a Hong Kong-invested company producing electronic parts. Like the city itself, the company grew quickly, moving to new office buildings, workshops, and increasing staff. "I came here to learn, with an aspiration to be a boss in the future and return to Xiaogang," he recalled. "So I must observe carefully, and develop the ability to solve problems that others can't." There were many problems beyond those related to security, so Yan kept his eyes open for every production procedures and every corner of the factory. His break came when the factory was behind on filling an order of switch transformers, and faced defaulting on loans. The factory at the time used conventional production methods, going through long procedures and using much manpower to produce meager sums. Yan noticed some imported machinery that supposedly allowed automated production was left collecting dust, and decided it could be the solution to the company's crisis. In his early twenties, Yan had little training, but he did have plenty of time after work. After finally getting the machine to run properly, he asked his boss to put him in charge of the production line. With little to lose, his boss agreed. Yan would not waste his chance. As the new workshop director, he installed the machine, simplified the procedures, rearranged the workers, and succeeded in producing 2,000 switch transformers in his first day of promotion. This breakthrough, along with his can-do attitude, made Yan a rising star. Over the seven years he was with the company, he saw its employees rose a hundred-fold, and his own pay making a similar leap. The youth from a remote village was well on his way to becoming a wealthy businessman on the frontiers of China's economic rise. But in 1998, on the 20th anniversary of China's reform and opening up, Yan saw his father on TV delivering his inauguration speech as the director of Xiaogang's village committee. At that moment, Yan was reminded of why he left home: To find a path for his family and his village toward better lives — as his father once risked his life to do. 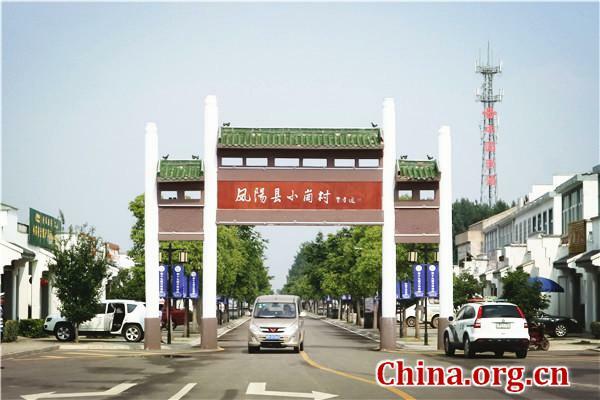 After finding success in the economic boom of China's major cities in the 1990s and 2000s, the son of a reform pioneer brings the spirit of reform and opening up back to the village of Xiaogang, where it all began.